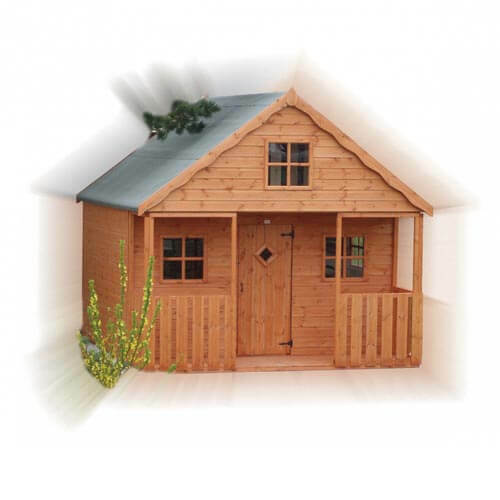 Charley’s Castle is a children’s playhouse with a difference – with two storeys and two large upstairs bunks. It is sure to be a subject of awe for your children for many years. This is a traditionally-built British playhouse. However, the extra height and raised internal bunk adds an extra play dimension. Its size is the main attraction – this building is so big, your children won’t ever outgrow it! It is made of redwood pine from well managed sustainable forests.